We are the first distributor to be awarded the Microsoft Gold Partner for Communications certification and have a 30 year heritage in Unified Communications. We are experts in bringing together the multiple elements of any Microsoft Skype for Business deployment, including Voice, Video Conferencing, PBX integration and much more. Need advice on becoming a Skype for Business reseller? Looking for advice on deploying Skype for Business or Office 365? 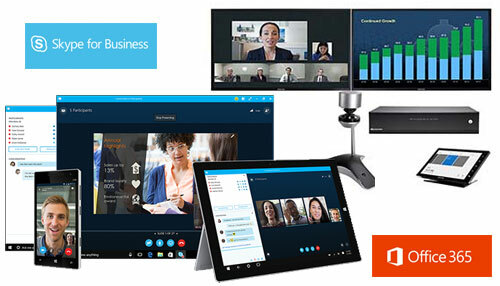 Microsoft Skype for Business is a Unified Communications application, connecting people across locations, devices and networks in a way that promotes collaborative working wherever you are. For Solution Providers who offer Skype for Business, a deep understanding of multiple hardware and software products must be held. Here is where Westcon stands out, offering the sales support, configuration service, global deployment, installation and maintenance services that allow our partners to concentrate on successful selling. With Westcon, you get all the products and services from a single source, simplifying the supply chain, eliminating logistical issues and facilitating complex deployments. We have a dedicated partner website just on the Microsoft Skype for Business solution.